Aoi Morikawa, Kana Hanazawa, Yui Makino et al. All 12 episodes of the Japanese anime based on the manga by Musawo. In the near future, the Japanese government has taken radical action to improve the country's birth rate by assigning all 16-year-olds their life partner, based on compatibility tests. On the eve of his 16th birthday, Yukari Nejima (voice of Ryota Osaka) finally gains the courage to confess his love for Misaki Takasaki (Kana Hanazawa). When he is arranged to be married to Ririna Sanada (Yui Makino) and not Misaki, who will Yukari choose to be with? 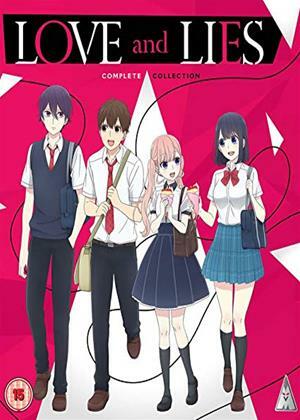 Episodes Comprise: 'First Love', 'A Small Lie', 'Overlooked Love', 'The Science of Love', 'Risky Love', 'A Prison to Compel Love', 'A Silent Lie', 'Feelings Without Lies', 'So Bright It Doesn't Seem Real', 'A Love to Give Everything For', 'I Don't Care If It's a Lie' and 'Love and Lies'.